Okay, Y2K didn't happen. It was a non event. But many people feel like something is going to happen, something big. It is the nature of all things on earth to change and the whiff of catastrophe is in the air. In a society where less than two percent of the population is providing food for the other 98% and where that two percent is totally dependent on oil and fallible technology to keep operating, and where close to 100% of the population will have little if any idea how to survive in the event that services are disrupted, and where there there are powerful enemies of that society vowing disruption not to mention natures impending revenge for the disregard for her rules  well when you add it all up it seems not only possible but probable that civilization as we know it is living on borrowed time. The first part of The Hippy Survival Guide is charmingly dated. It is recent history, and history of the hippy generation, and should be read and treasured as such. But, as Trish Gannon of The River Journal writes: "As interesting as the first part of the book is it's in the second half where Oehler shines. 'The second thing I'm going to offer you is some simple survival strategies to get you through the trials,' he writes. 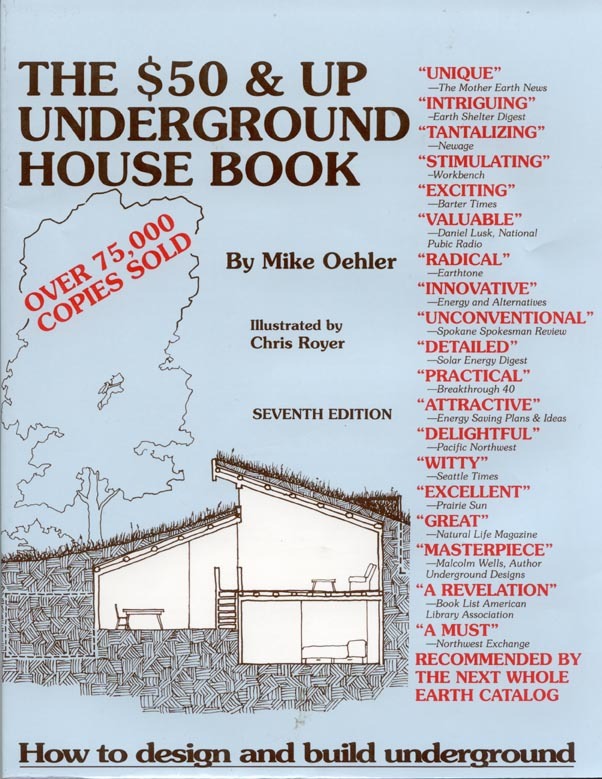 In 1971 he built his first underground house where he still lives today. It has never had running water, nor (grid) electricity, and is heated solely by the wood that Oehler provides. A self-described back-to-the-lander, Oehler has personal experience in milking cows,butchering livestock, growing organic gardens and preserving what he raises. He's been sharing that knowledge for years as an author and lecturer. 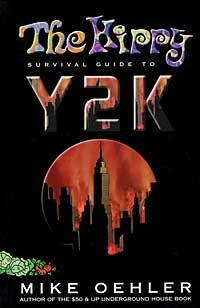 "In Hippy Y2K, Oehler takes the reader through the basics, beginning with shelter and heating and covering such topics as potable water, latrines, food supplies and storage. He also includes information on financial strategies. In true hippy fashion, Oehler finishes the book with a plea for changing the world. 'Most of the world's problems can be solved by a change in lifestyle and a shift in spirituality,' he writes, and after 288 pages, you think he just might have a point." Bill London in the Lewiston Tribune says the book has, "solid suggestions for emergency pit housing and other survival options ... he's done his research well," and calls it, "appealingly autobiographical ... an entertaining glimpse into the life of one of Idaho's backwoods hermits  try this book." The Spokane Spokesman Review's Cynthia Taggart observed, "Mike appears as levelheaded as he is resourceful," and called the book, "practical survival advice with tips for city dewellers as well as country folks." In The Inlander Nick Heil writes, "'Oehler is careful to steer his comments toward those living different kinds of commnities  urban surburban or rural. At times outrageous, funny, philisophical and just plain far-out, Oehler's perspective is as unique as it is entertaining. "'Spirituality is the ultimate survival skill,' Oehler declares near the end of his book. "When one is primarily on a spiritual quest, the desire for material objects is effectively lessened. This can make an enormous difference to us in the coming trials since we stand a big chance of losing many of our goodies. We will be in states of shock and anguish. Yet if we learn to not mind losing them, there is no loss. Material goods are to Americans as alcohol is to a drunk. In both cases, losing the craving is a benefit.'" The customers of Amazon.com give this book a five star rating.